Leh Deputy Commissioner Avny Lavasa has constituted an enquiry committee into the matter. New Delhi: The rescue operation officials on Saturday recovered two more bodies from the site where an avalanche struck two vehicles. The death toll has now reached to seven. However, the search operation is still underway. 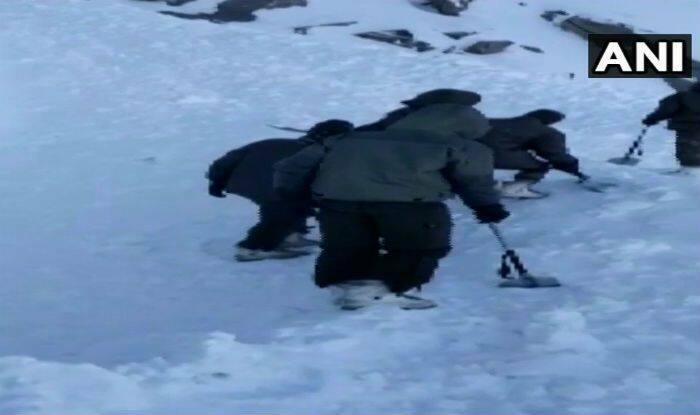 “Two more bodies have been recovered at Khardungla avalanche site. In total, seven bodies have been recovered so far,” a State Disaster Management Department official said. Meanwhile, authorities in Leh district of Jammu and Kashmir has ordered an inquiry into the circumstances that led to the death of people. Leh Deputy Commissioner Avny Lavasa has constituted an enquiry committee comprising Assistant Labour Commissioner Ghulam Nabi Tak and tehsildar Gurmet Namgail to conduct a thorough enquiry into the matter, an official said. An avalanche hit two trucks, carrying 10 people, at? Khardungla pass — one of the highest motorable roads in the world at 17,500 feet — in Ladakh region at 7.00 am on Friday. The two trucks were buried under an avalanche of 20 feet depth, nearly 800 metres from Khardungla Top towards South Pullu. Till now, five bodies were recovered on Friday. On January 13, a medium danger avalanche warning has been issued for higher reaches of Baramulla, Kupwara, Bandipora and Ganderbal districts while a low danger has been indicated for Poonch, Ramban, Kishtwar, Anantnag, Kargil, and Leh districts, but it was only for the next 24 hours. Earlier, on January 3, an avalanche in Jammu and Kashmir’s Poonch left one Army jawan dead and another injured.